After carefully watching the NFC chip embedded figure scene for several years, Microsoft feels confident they have what it takes to do it themselves. “We were interested after Skylanders and Disney Infinity, but when Nintendo released its Amiibo series we knew we had to get in on that action ourselves,” Microsoft XBox division head Phil Spencer said. 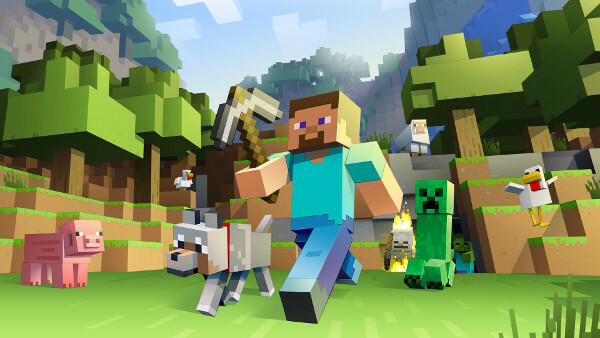 As for specifics, Microsoft plans on replacing its current DLC system for console Minecraft with figurine purchases. If you want a new skin or texture pack, you will have to buy the figurine that goes along with it. “Once we prove the gullibility of players using Minecraft, we hope to expand this program to all our games.” Phil gloated. This entry was posted in Leaks and tagged Microsoft, Minecraft. Bookmark the permalink.